Greetings! November was an amazing month on many fronts. Locally we announced our new focus for the coming year: Catholic Democrat New Mexico Attorney General (AG), Hector Balderas. We have teamed up with national organizations Operation Rescue and Priests for Life to call on our Attorney General to investigate and prosecute the University of New Mexico and Southwestern Women’s Options for their involvement in the use of aborted baby remains, and more. Even though a criminal referral has been handed down to AG Balderas from Congress, he has failed to act swiftly and pursue justice for the babies who are a mere commodity to the New Mexico abortion cartel. The reality remains that New Mexico continues to be in the spotlight due to our non-existent laws on abortion, our leaders who support and condone abortion and the University of New Mexico’s entrenched abortion agenda. In the coming months we will be prayerfully and peacefully exposing AG Balderas and holding him accountable for his poor leadership and for ignoring the plight of the pre-born children who die daily in his state. Please join us in prayer that just as God moved the heart of Pharaoh to let his people go, that he would also move New Mexico Attorney General, Hector Balderas to place as a top priority protection for ALL children in New Mexico… including those who are, absolutely, the most vulnerable-those living in their mother’s wombs. We applaud Donald Trump for stepping into the arena and taking on the evil and corruption that has dominated American politics for some time now. Moving forward we must come together as a unified voice in our cities across this nation to make sure that Trump follows through with his campaign promises. We must not allow him to be like so many other leaders who say one thing to get elected and then fail to act to save the lives of pre-born children. We must all work harder to do what we can to stop the killing today by how we live our lives and obey God’s call to be salt and light in this world. 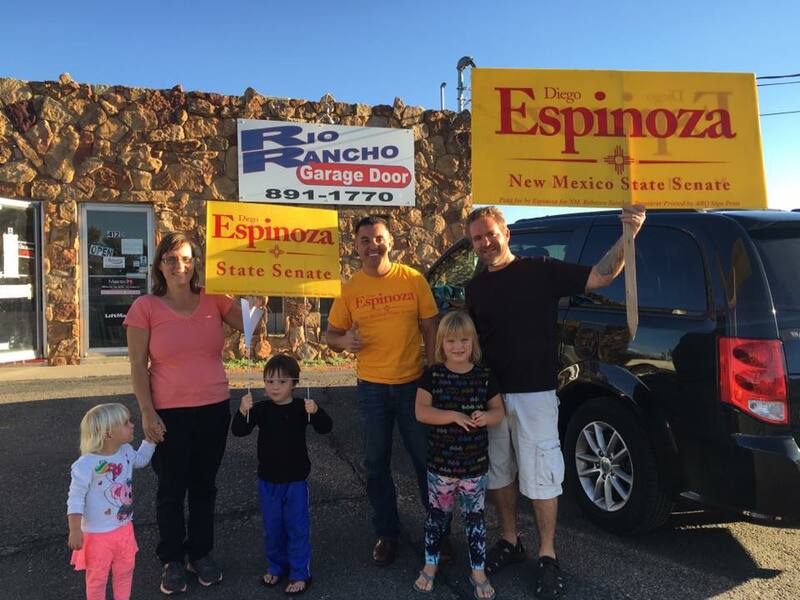 We are proud to congratulate those in New Mexico Senate District 29 who successfully opposed pro-abortion Catholic Senator (D) Michael Sanchez who has dominated the NM senate and continuously ensured that pro-life bills never see the light of day. Protest ABQ set the stage for this monumental defeat this summer as we sent postcards to his constituents letting them know that he is putting politics before his faith. We also co-lead two key protests in this district leading up to election day. It is very encouraging to see others take our lead and be successful in protesting evil and corruption that has such a strangle hold in New Mexico. This victory is a testimony to the power we as citizens have when we unify and expose evil outside of the four walls of our churches. A local videographer from ABQ RAW contacted us this month asking for us to do a video to educate the public about the ins and outs of Roe v. Wade and abortion in New Mexico. He was surprised that the Christians he knew were clueless about the laws of our country regarding abortion and that many of them had no idea how abortion devastates entire families. Tara met up with him where we keep the truth truck and had a great time talking with him and making an informative video. 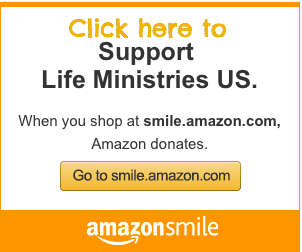 You make the impact of our divine calling to be missionaries in New Mexico a reality in the lives of countless moms we’ve helped over the years and the babies who are alive today because you give financially. New Mexico is a different place than it was when we arrived 6 years ago and that is because of YOU! “The definition of a champion is a person who fights or argues for a cause or stands up on behalf of someone else.